The next topic I am going to talk about is the best man speech and I have heard a wide variety of these ranging from the well prepared and seriously funny to wildly inappropriate. Here are a few pointers to ensure the best man speech goes as well as it can. But keep it clean! 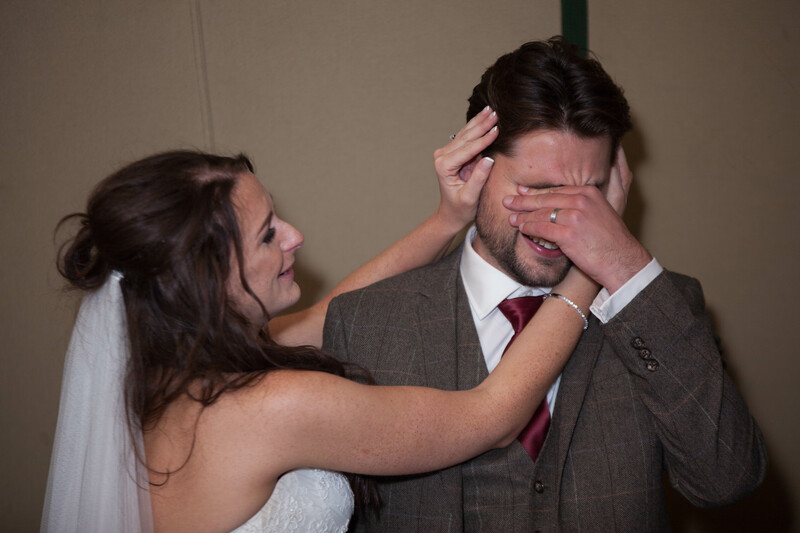 Your best man speech jokes don’t want to be remembered for all the wrong reasons. You and the boys might find it funny, but the bride and the rest of the guests will be expecting you to keep a lid on anything X-rated. I have personally heard a couple of shockers in recent years and stories of sexual misadventures are for stag night and not the wedding day. Instead, tell stories of the groom’s character and times you’ve had together. You can allude to wild behaviour pre-relationship, although it’ll be best for everyone if you keep it mild. Think of the grandparents! Working in a story about how the groom met the bride or how happy she makes your best friend, will always go down well with the crowd. Commenting on how great the bride looks, is quite traditional and a nice point to consider, too. Best man speech jokes are great, but don’t put pressure on yourself to be a stand-up comedian and stick to around 15-20, not like my brother who gave a 45 minute speech at a wedding and had to be literally dragged off.. So try and give just over a minute for each 10 points and you’ll have it spot on. If you’re feeling nervous, props are great for something to hold and talk about. 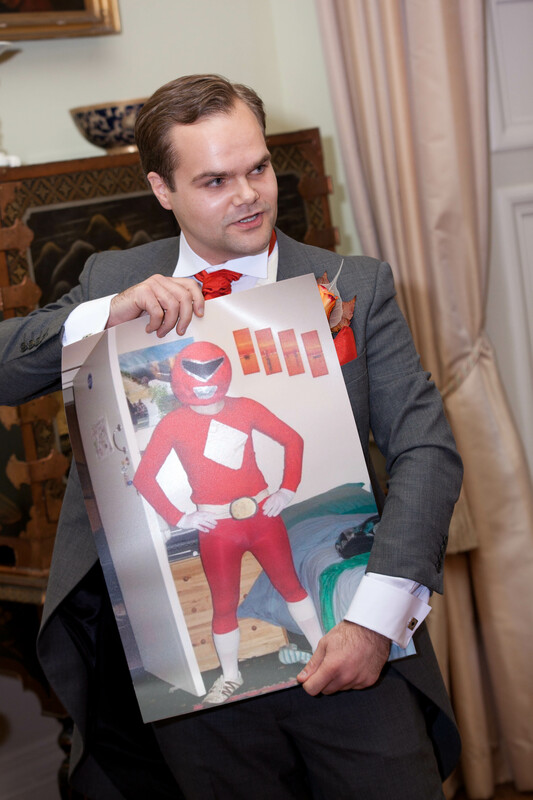 Maybe a funny retro photo of the groom that you can include on each table too. 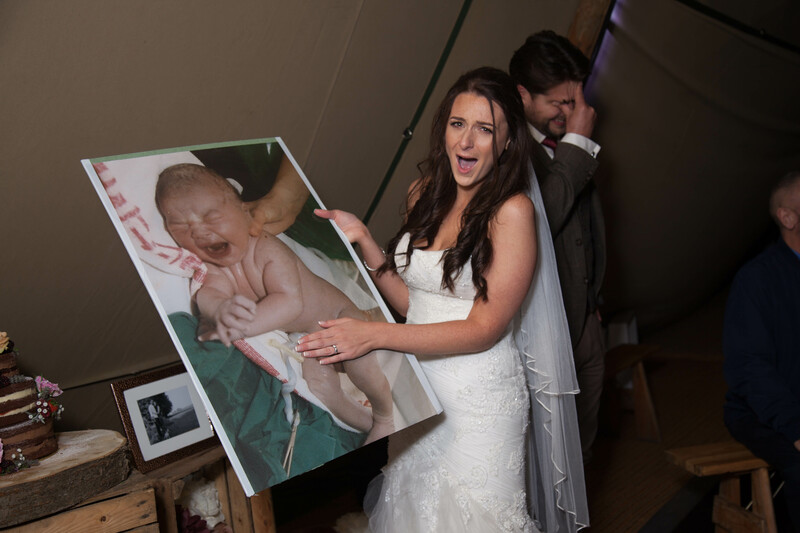 I think some of the funniest speeches I have seen have included hilarious photos of the groom with terrible fashion sense or great photos from childhood, in particularly a great groom photo as a little baby having a bath, this one had the roof off. These work so much better than projectors – which can be fiddly to set up and can lead to your speech not going to plan! The best way to finish is to toast the newlyweds. Then you’re done and can enjoy the rest of the party!